For many people, the vacation is the perfect time to stay away from technology, and enjoy everything that the place you are going to visit can offer you. However, it’s hard to completely ignore the technology, even on holiday. We will always have some gadget that we will need to carry in the suitcase to make our life easier on our vacations. Whether you’re traveling Barcelona or San Francisco, Orlando or Dubai, it’s not about any particular destination just keep these gadgets with you to enjoy your travel. Here we have able to sort out five essential items for those who want to spend the holidays in comfort. To make this top 5, we are focused only on items that may be useful for vacationers. We understand that those who travel to work have other needs. And for the items below, do not forget the respective power chargers. A very simple smartphone with camera, GPS and other features. But, if you stop to think, the proposal here is to take a vacation and relax. And if you want to do this, it’s best to forget that Twitter and Facebook do exist. Set aside your virtual contacts a little, and enjoy the company of the people who are with you on this trip, and the beauty of the place. If you want to update your Twitter or blog, do it only once a day at the end of the day when you return to the hotel (we’ll talk about it later). In addition, it is common in travel losses of belongings, mainly cellular. And you will not want to risk losing your expensive smartphone on the beach, will you? So, it’s best to leave it at hotel. This is a must for anyone who wants to record the best moments of the trip. You could use the camera on your phone, and share the photos to the Facebook album on time. But, let’s face it: when you take a trip, you do not know when you’ll be back in that place. Soon, the record of that moment should be well done, with a camera with resources dedicated to photography, so that you can have the best results in photos and videos. After you return, you choose (calmly) the best and share with your friends. Some people just cannot help but stay connected, even while on vacation. Whether it’s to check emails, Twitter or Facebook accounts, or to update your blog, a netbook will make itself necessary to meet those needs. But here, we put some important points. To get started, take a netbook, not a notebook, to reduce the weight of your luggage. Also, leave the product at the hotel, and enjoy the tour during the day. At the end of the day, just update what you want by using the hotel’s internet connection. The same rule applies to those who prefer tablets, with the advantage that you can still read an electronic book before bed. Considering that the phone we mentioned above is so simple that you cannot play your MP3 songs (and this may not be a problem in some cases), it is fundamental that you bring a good quality music player to handle the hours travel, travel between travel sites and other situations where music and podcasts can get rid of boredom. There is no demand here for a touch screen player, or full of features. It needs to have a reasonable storage capacity (at least 4 GB, for those who only listen to music), and good battery life. If you really want to enjoy your vacation to the fullest, and you want to save the best moments of it, you’re already aware that the memory card of your digital camera is not enough for the days you’re traveling. Aside from that, as Murphy’s Law is always present in travel, “accidents happen,” and you may lose all records in photos and videos. Self-Defense: In your backpacking journey self-defense is the most important matter because of this life is most valuable. In every country, every city having some kinds of places to ensure extra security. Many travel experts recommended that having to carry a boot knife to protect yourself and easy to carry or hidden in your boot. So, for you to always have free space on the camera, and for your own data security, always carry extra memory cards with you, to replace those that are already full. For those who are more demanding, and want to have a backup of the photos and videos stored on the computer, you can use a portable HD, which is a practical form of mobile storage. 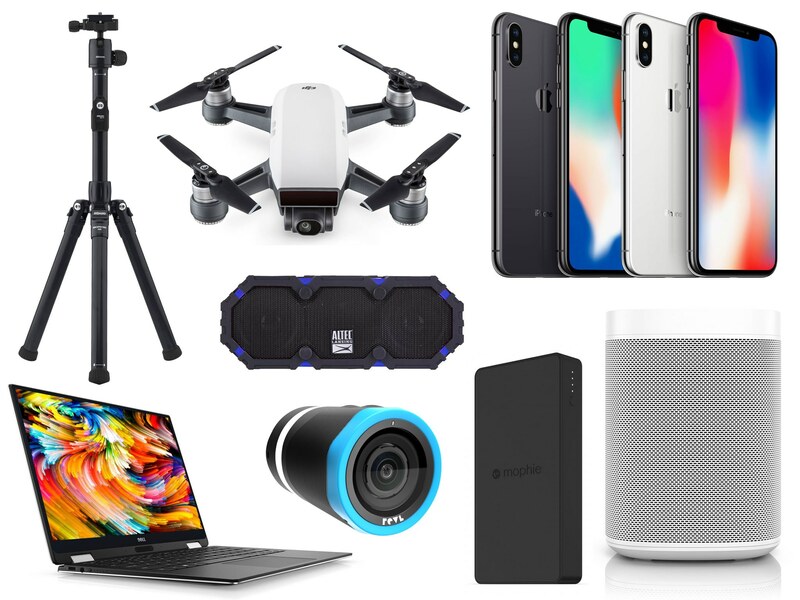 These are just a few gadget tips that you can carry in your bag over the holidays, so you have the least technology but not much weight in the bag. The choices may vary among users, but in general, these are the five items that the vast majority will take to get to know other scenarios around the world.